THE PICKIEST EATER IN THE WORLD: THE PICKIEST EATER'S ANNIVERSARY GIVEAWAY #5: MANANG'S CHICKEN ! 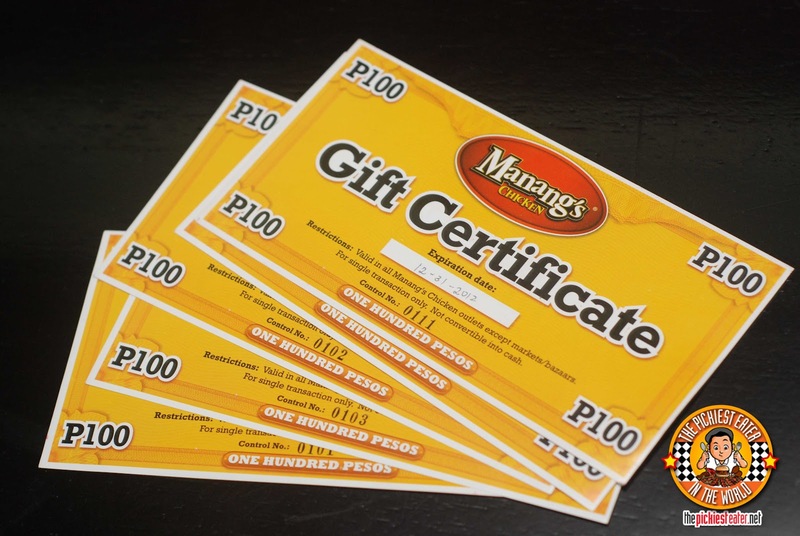 THE PICKIEST EATER'S ANNIVERSARY GIVEAWAY #5: MANANG'S CHICKEN ! Being a man that would call Mercato Centrale his second home, I'm no stranger to Manang's Chicken. 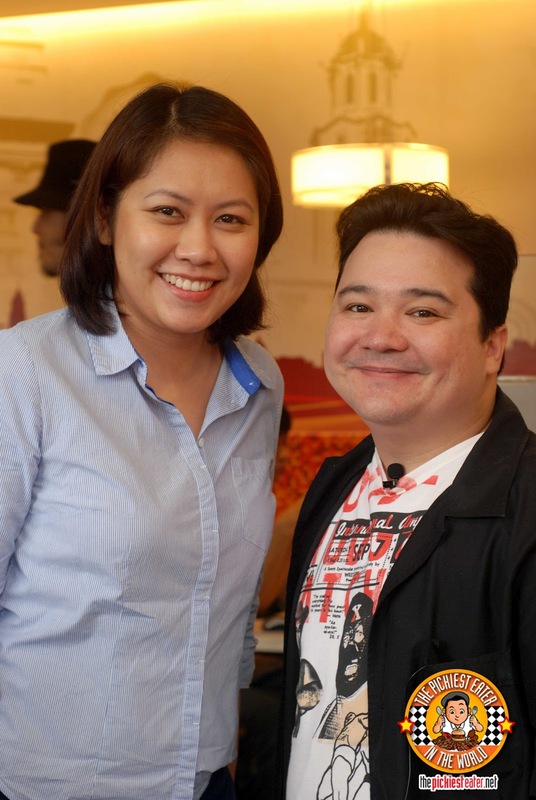 Not only am I a fan of their food, but I'm also an admirer of their success story. In case you don't know what that story is, it's really quite amazing. 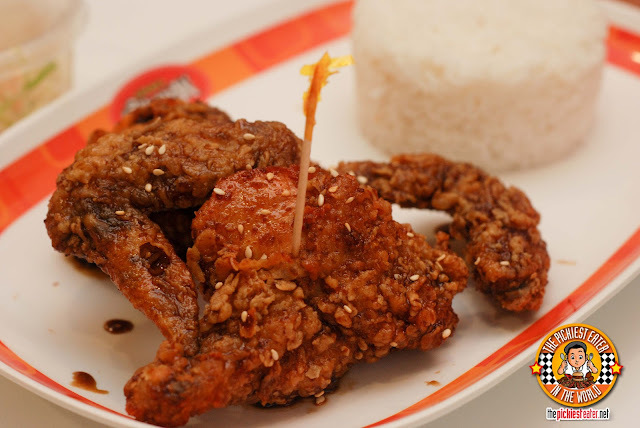 From a small stall in Mercato Centrale, Manang's Chicken has quickly transformed itself into a legitimate fast food force to be reckoned with. What makes their story even more amazing, is that the whole craze of Manang's Chicken began from a simple recipe that the Gerodias family matriarch created, and their beloved cooked that everyone loving called, "Manang" perfected. The children of the Gerodias family grew up with the dish, as it instantly became popular among their friends. Whenever they had friends over, and asked what they wanted for dinner, the response became nearly automatic.. "Manang's Chicken". And that, my friends, is how a legend is born. If you look at some of the local fast food franchises around, there's not a lot of care taken into the interiors. 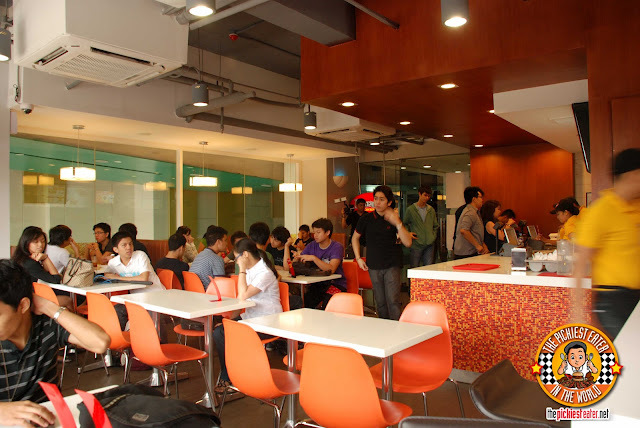 You walk into a Mang Inasal, Chowking, or Tropical Hut, and you know you're in a fast food restaurant. With Manang's Chicken, the interiors are clean and spacious, giving you the impression you're in a cafe, more than a fast food joint. There's a certain elegance to it that enhances your dining experience, all at budget costs. What else is there for me to say about Manang's Chicken that you don't already know? 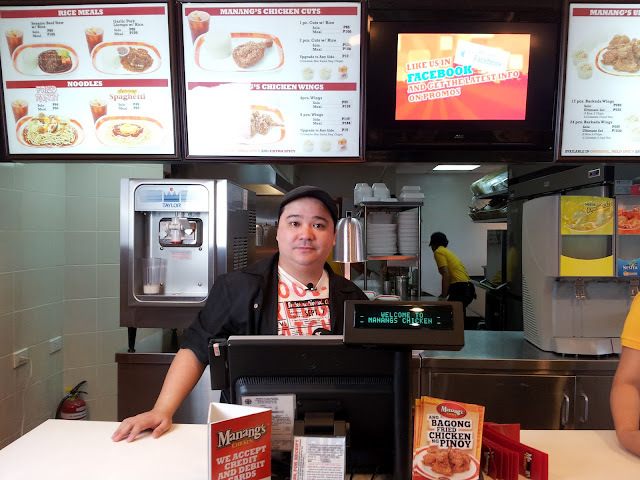 You'll be surprised.. Because there's plenty of things you may not know yet about Manang's Chicken. But first let's start off with the obvious.. The wings alone could form their own food group. The chicken is deep fried not once, (not thrice) but two times, in order to ensure an amazing crispiness that makes other wings ponder their own existence. The wings are then bathed in a lightly sweet sauce of your choice.. Original (my fave), Mild Spicy, and Extra Spicy. The chicken is also available in selected parts. which are thinly sliced potatoes, deep fried to golden perfection! 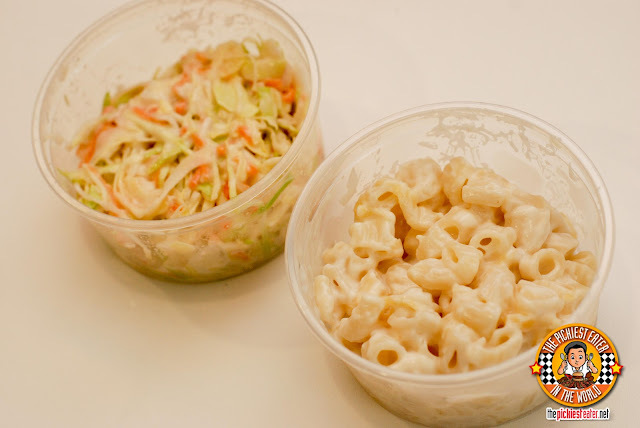 You get a choice of Creamy cheese and Garlic Mayo.. 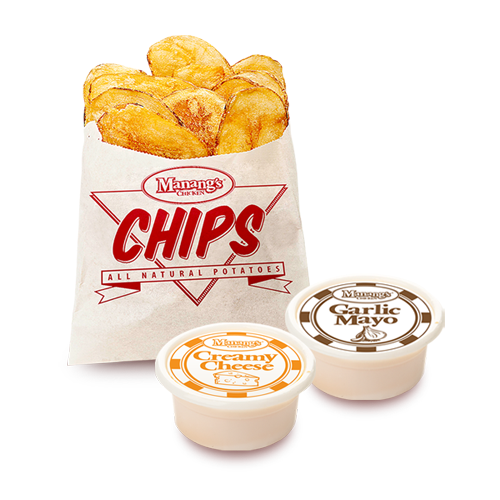 I loved both but I was more fond of the creamy cheese! 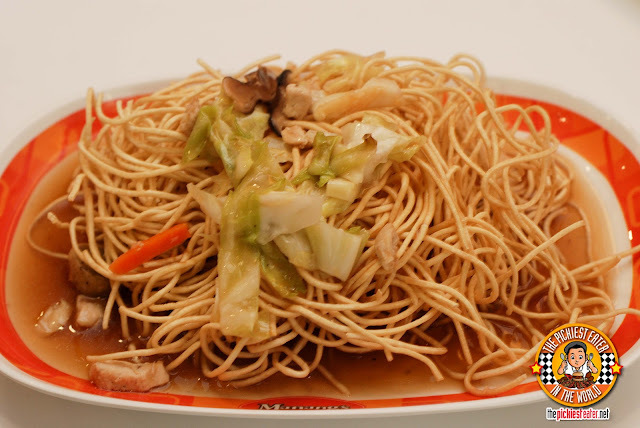 Manang's chicken also has a fantastic Fried Pancit Meal for only P85 bucks! 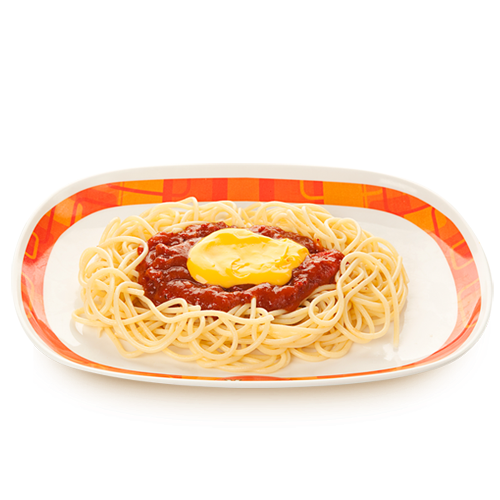 And a Pinoy style Spaghetti meal (P69) that features a creamy cheese sauce.. Believe it or not, the last two times I went to Manang's Chicken, I strayed away from the Poultry and instead set my sights on the Garlic Liempo Rice meal (P99). The dishes is composed of around two good sized pieces of pork belly, deep fried until the skin is crispy. But here's the thing.. I was a little bit taken aback when I saw them dump a whole batch of fried garlic chips on to the top of the meat, then hand it over to me. In my mind I was thinking, "Man, they put way too much garlic chips..". I discovered that the garlic chips didn't have the pungent smell or taste associated with garlic. It was a bit sweet, almost like it was caramelized, and it just brought out the amazing flavor of the pork. After the meat was gone, I was scooping up bits of garlic with rice, saying to myself, "Man, they didn't put enough garlic chips...". 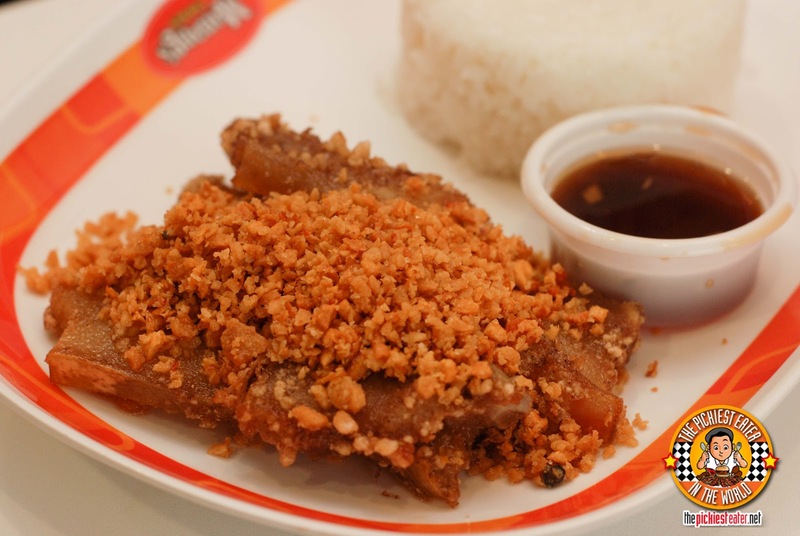 Other rice dishes available are Sesame Beef Stew Meal, and Manang's Fish Fillet, also for P99. 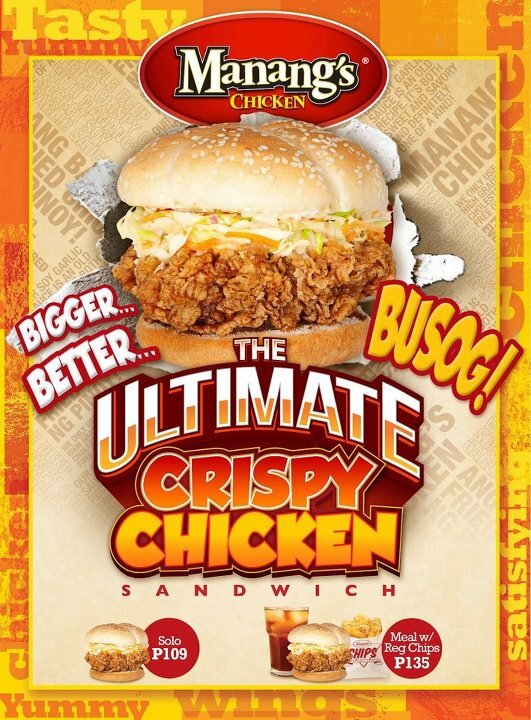 you can go for the Ultimate Crispy Chicken Sandwich.. Although I use the word "Lighter" very loosely hehe..
Why am I showing you all this? The Pickiest Eater In The World's Giveaway #5! 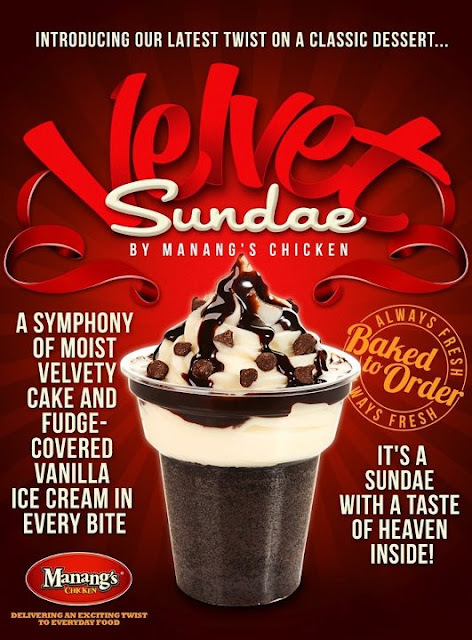 courtesy of Jill Gerodias-Borja, President and CEO of Manang's Chicken! So how do you join? It's quite easy, actually! But I've added a Rafflecopter Widget at the bottom of the page to make things even easier! 2) Like the MANANGS CHICKEN page on Facebook. Critical Note: Shared posts that aren't set to "public" might not be visible to me, so please double check that setting. Upon announcement of the winner, the link shall be verified once more, so please do not delete the shared post. 5) Add me, @TheRealRichieZ on Twitter! 6) Add @ManangsChicken on Twitter! This contest is open to all readers in The Philippines with Facebook and Twitter Accounts, but we will only ship the GC's to an address at Metro Manila. Please take note that as of this writing, Manang's Chicken has Nine branches scattered all over Metro Manila, and two more along the way! Wilcon City Center Visayas Avenue. Thank you for this another giveaway.:)Joined! Hope I win this time.:). I wish this is my luck! I reaaally really want this! TheRealRichieZ is the world's pickiest eater. You probably think that I'm exaggerating. I'm not. Happy anniversary! HOMAYGAD! I forgot the links of my entries! Sorry. Joined! Hope I win, hehe!